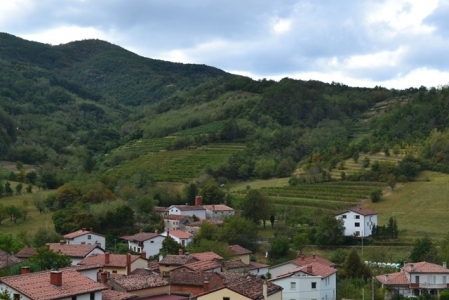 Cultural Landscapes Blog›What causes rural land use change in Europe? Land use changes are predominantly studies using case studies. These case studies offer detailed insights in the land use change processes, but their validity is inherently local. In a paper recently published in Landscape and Urban Planning, Hercules researchers from the VU University Amsterdam collected 219 cases of agricultural land use change in Europe and analyzed the type of land use change that was observed and the drivers that caused these land use changes. Results show that agricultural land use changes in different directions in parallel. 76 cases were reported in which the agricultural production increased, either because agricultural land expanded, or because the intensity with which agricultural land was used increased. Another 143 cases reported the opposite: a decrease in agricultural land intensity, or even a complete abandonment of agricultural land. Changes in land use intensity include changes in landscape elements, such as hedgerows or woody patches, changes in management intensity, such as organic farming, or the construction of irrigation networks, and specialization or diversification of on-farm activities. The review revealed a wide range of drivers causing these changes, including economic, demographic, sociocultural, technological, institutional and location factors. Moreover, the review found that farmers were very important as moderators between these drivers and observed land use changes. In most cases, changes were not caused by one single driver, but by a combination of several of these drivers and specific types of farmers. Typical combinations of drivers were identified in relation to three major land change trajectories: globalization of agricultural markets, the transition from a rural to an urban society, and the shift to post-socialism in central and eastern Europe. Reference: Van Vliet, J., de Groot, H.J.M., Rietveld, P., and Verburg, P.H. (2015) Manifestations and underlying drivers of agricultural land change in Europe. Landscape and Urban Planning 133: 24-36. Having spent some time in Bulgaria and Romania I see first hand how societies and the landscapes they created are slowly fading away to history. So many villages in rural areas are seeing the young leave for a different or "better" lifestyle choice, while the older generations remain but for how long? So much knowledge, and skill being slowly lost, and landscapes either swallowed by big agri business and land speculation or if were lucky a re wilding of huge swathes as we see in the old pasture abandoned at the end of the soviet era. Lets hope its the latter, but I doubt it, or better still find a way to keep these rural communities together, no mean feat.